Best® N-DEX® Free - 4 mil - Powder Free - Class 1 Medical Device - 7705PFT Introducing the revolutionary N-DEX Free, the worlds first accelerator free disposable nitrile glove. 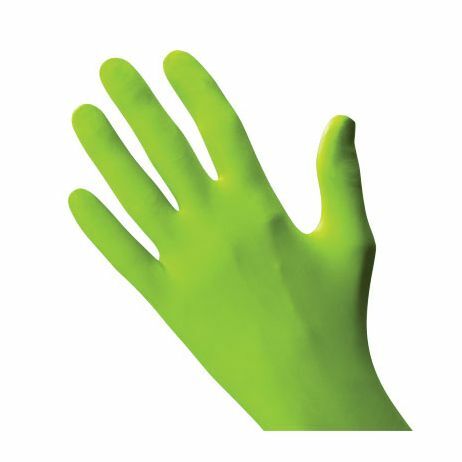 Free from the accelerators common in all disposable nitrile gloves, which have been linked to workplace conditions like Type IV dermatitis. Free from Natural Rubber Latex and Type I allergic reactions linked to Latex proteins. 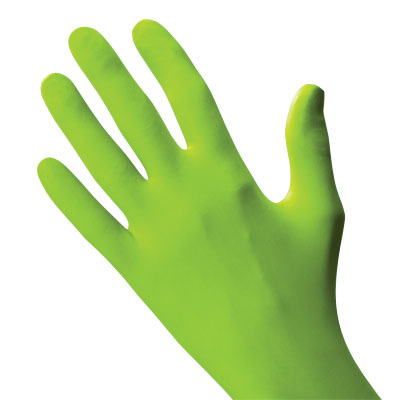 Developed by Best to the same exacting standards of its N-DEX family of hand protection, N-DEX Frees patented accelerator free formulation creates a luminous, fun, yet PPE-conscious, high visibility green glove. The hi-vis color is great for jobs where increased visibility and color-coded operations are critical. Available in a smooth finish or with new textured fingertips, N-DEX Free provides laboratory, pharmaceutical and industrial workers an accelerator-free, Latex-free option with greater grip, comfort and dexterity. 9" long.